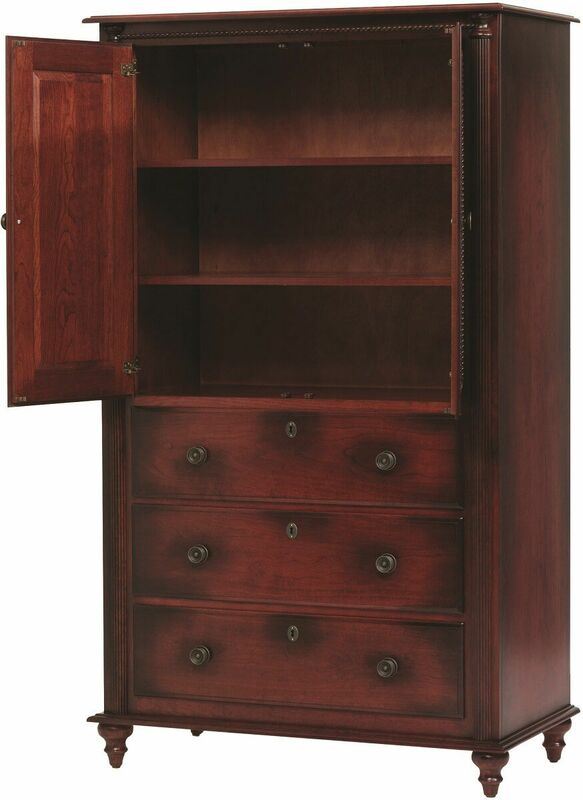 Classic lines and real wood combine to inspire the sturdy and attractive Clair de Lune Armoire, showcased in a stunning and rich finish on Cherry. Easily store and organize your clothes with this spacious and stylish wardrobe. 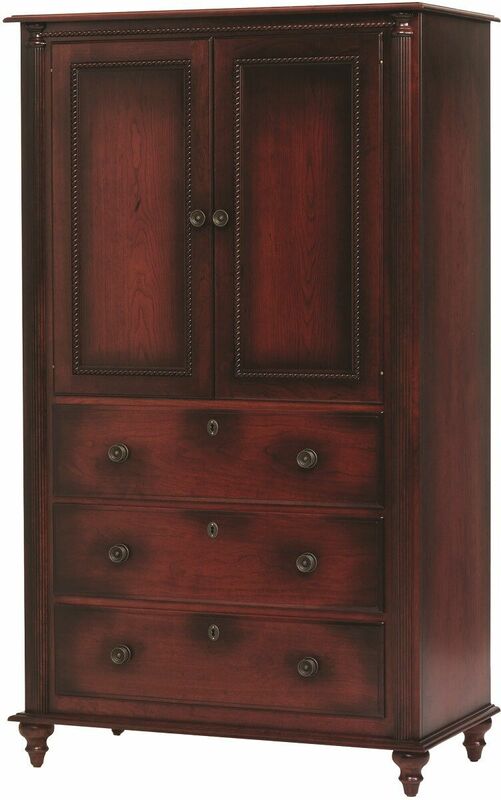 Crafted from solid American hardwood and featuring a hand-rubbed wood finish, the Clair de Lune Armoire blends with any decor with a timeless appeal. Your 2-door Clair de Lune Armoire, handmade by expert Amish artisans, features a double door cabinet concealing two adjustable shelves and clothes rod along with three dovetailed drawers. 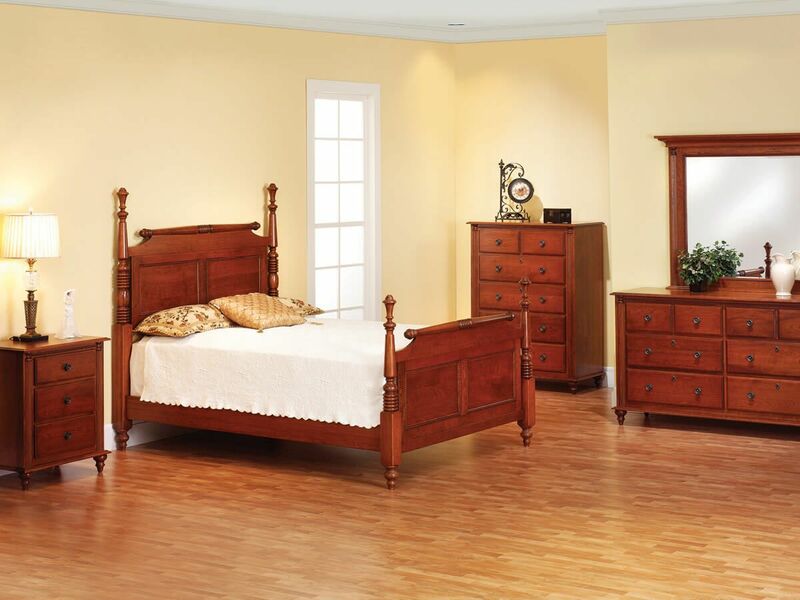 Your deep-seated drawers are standard with concealed, fulling-extending ball bearing slides. 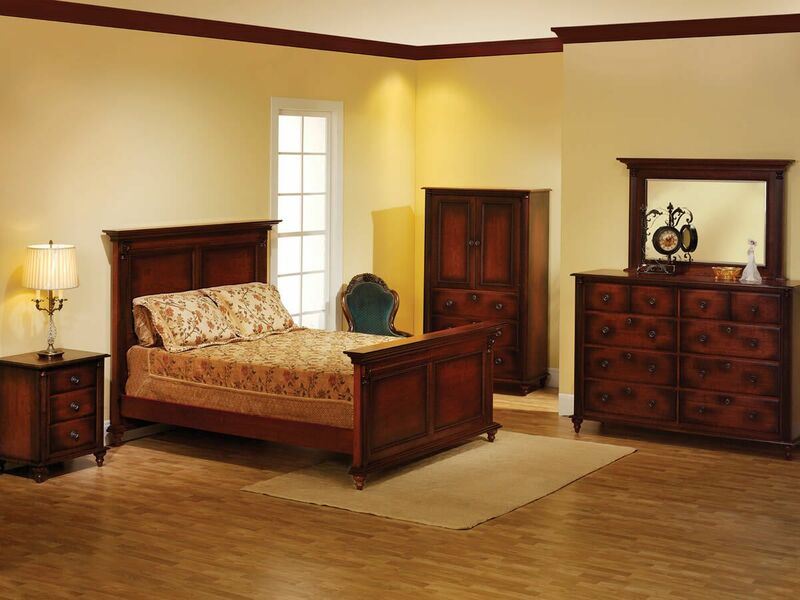 Design your one of a kind Clair de Lune Armoire and matching bedroom pieces to perfectly complement your bedroom interior and personal preferences.